Developed as the ultimate full contact versatile machine, able to adapt to all methods and all lures, the FX(Flight Exclusive) series is finally unveiled. The improved FX Wing Clutch allows for immediate responses to bites upon touchdown, as the finger positioned on the wing makes the immediate startup of gear rotation possible. The FX's high precision carbon composite body is made up of fully machine cut parts fitted seamlessly together, creating lightweight yet high rigidity performance. 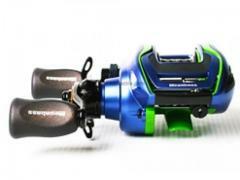 combined with the 6.8 gear ratio, borne out of Megabass' "full contact" ideology, it achieves a stunning power to weight ratio. The shiny silver low and wide diameter "T Design Level Winder" is perfectly balanced with the "Full contact Shallow Spool," which was developed to have the flexibility to be used with all methods. 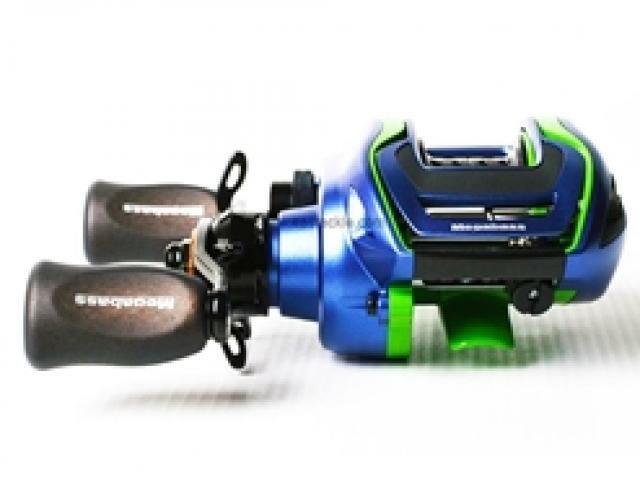 It boasts stress free line release and easy long distance casting. The magnetic control mode with 3 levels of adjustability (Mag Force 3D) and the magnetic braking system with 20 levels of adjustability adapt to all methods. Starting with the carved out power handle and super lightweight cork knob, it is constructed with Megabass' unique mechanical parts and infused with modern technology throughout.